When I first started working for Fit Right NW in Portland, OR (now Fleet Feet PDX), I distinctly remember trying on the Adidas Tempo 4. I really liked that shoe. It was firm, responsive, had a racing fit that hugged the foot really well, had some light stability, weighed around 8 ounces and despite being listed as a 9-10mm drop felt like a 6-8mm drop shoe. That along with the unboosted Adios were two shoes that called out to me. Unfortunately I was an idiot at that time and was dead set on being an super minimalist. I seemed to think any shoe with a heel-toe drop was a sin against nature.... one of the many reasons I would punch my younger self if I ever had the chance to go back in time. Many years later I after getting over my stupidity and realizing the glory of lightweight stability shoes/racers I decided to give the newly boosted (at the time) Tempo 7 a try. Could it live up to the missed glory of the Tempo 4, 5 and 6? I guess there's a reason this is a Initial Review and Return.... but read on to find out anyway. Sole/Ride: I did enjoy the ride of this shoe. It was on the firmer side of shoes and the Boost midsole definitely added some responsiveness to the ride. The curved heel and toe spring gave the shoe a very smooth ride that combined with the softer boost can the shoe the feeling of a lower heel drop than the listed height (10mm). The support in the shoe was interesting. It was definitely on the side of light stability than moderate (which I prefer for myself). However from initial observations, I assumed that this shoe would have forefoot stability given the apparent placement of the EVA stable frame. However I felt very little extra stability from the forefoot and instead felt everything in the midfoot/heel area. Definitely was a bit disappointed by that since I believe the market could use some forefoot posted shoes for variety. Not everyone pronates in the rearfoot or midfoot! What I did not enjoy was that the Boost seems to be concentrated in the heel, which translates your foot onto a very bare forefoot. The different midsole densities feels odd and bothered me. Additionally, the Boost in this shoe severely detracts from the responsive firmness of previous models. Despite really loving the Boost initially, I have come to dislike it compared to the older adiprene models. Those midsoles have the awesome firmness and snappy responsiveness that I have come to like. 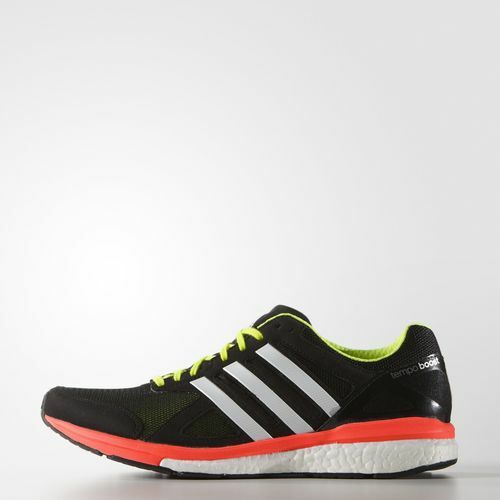 Whereas when you are tired, the Boost feels like a marshmallow. 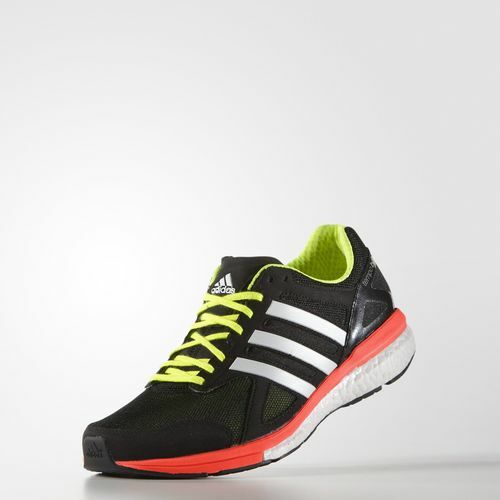 Older is definitely better in this regard and I am currently training in the Adidas Mana 7 (mostly available abroad. Review on the way) which maintains the adiprene midsole of old. It is AWESOME!!! Adidas.... bring back adiprene... or stop overusing the Boost. You can do better. Upper/Fit: This is where the shoe and I really clashed. The forefoot is very narrow. Only people with truly narrow feet will appreciate this fit. This isn't racing flat narrow that hugs your foot nicely. 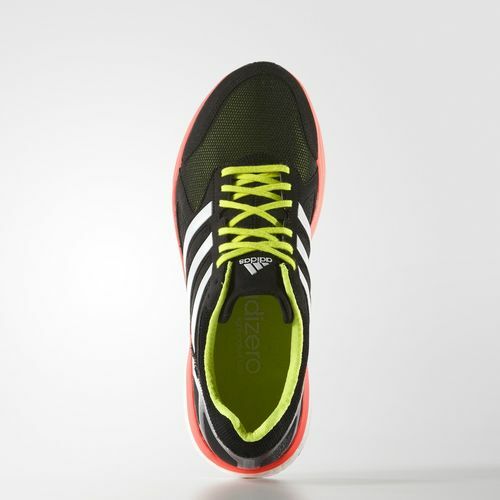 The Tempo 7 has a toe squashing narrow forefoot. While the upper does stretch a bit, that doesn't make up for the poor fit. Going a half size up does solve this issue a bit, but then you have a shoe that's too long... which I personally don't like. Another issue with the upper is the very short tongue and low ride of the material around the calcaneus/heel. While I do like the absence of a rigid heel counter, the low riding aspect of the upper around the heel does not give the shoe a secure in the rearfoot. This does not lend to a fast feeling shoe. Finally, as a few other reviewers around the Web have noted (Check out Sole Reviews Tempo 7 review for more in-depth information), the upper construction differs between left and right shoes. In my pair, glue smudges, odd stitching, loosening threads and more were prevalent all over both shoes. 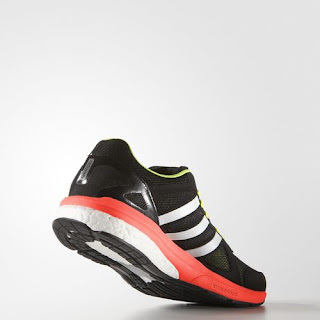 For a $120 running specialty shoe (not some second tier crap shoe) from a respected company, this is unacceptable. Reason For Return: The odd ride of the shoe, increased softness from the Boost and horrible upper fit killed this shoe for me. I only ran a few in the Tempo 7 before it was thoroughly cleaned and exchanged for another pair of shoes from a local running store. I am extremely disappointed at what Adidas has done to this shoe. However, I completely understand that nothing is perfect and will continue to wait excitedly for version 8. I still have high hopes for Adidas as they have produced some of my favorite shoes (Takumi Sen 2, Takumi Ren 2, Takumi Sen 3, Mana 7 and more...). The major thing that needs fixing is the upper fit. Open the forefoot so that it has a racing flat fit and not a toe-smashing fit, lengthen the tongue and fix the heel a bit. If they changed that I could live with the sole. For now I'll pass until the Tempo 8. As always I am not trying to scare anyone away from this shoe. If you have a long and very narrow foot and are also looking for an tempo stability trainer, then give these a shot. You might like them. Disclaimer: These shoes were a personal purchase with assistance from a gift certificate (from a race I ran) from The Running Center in Riverside, CA. I did run on the road in these and thus exchanged them for store credit for another shoe. The people at The Running Center were fantastic and if you are the area I encourage you to go to them if you are in the market for a new pair of running shoes.